“O that he had sprained his ancle in the first dance!” exclaims an exasperated Mr. Bennet in Pride and Prejudice. Well, the intended recipient, Mr. Bingley, escaped that curse in Jane Austen’s novel. Instead it fell upon me, two centuries later. Not even at any dance, mind you, but stupidly, while getting up from a sofa in the apparent comfort and safety of my apartment. 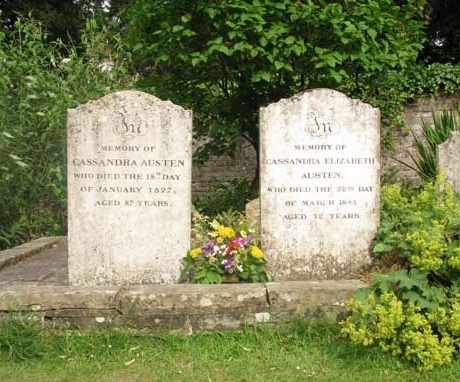 The incident was all the more maddening that it occurred less than 48 hours before the 2010 Jane Austen Society Annual General Meeting, an event to which I had been looking forward for so long. It would have taken more than that to deter me from attending. My ankle (or should I spell ancle, like Jane?) properly braced, I took the train at Waterloo for Alton, the closest railway station to Jane’s home at Chawton. I knew that a bus would be expecting us Janeites at Alton station to take us to Chawton, but a surprise awaited us. It was not just any coach. 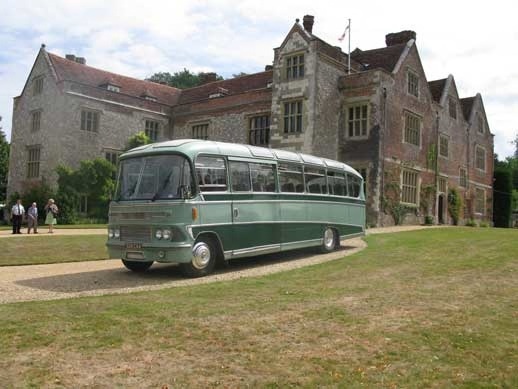 It was a King Alfred Coach, lovingly restored to its 1961 splendour! New plush upholstery, shiny paint in two tones of green, matched to the uniforms of the driver and conductor. The latter, Mr. James Freeman, explained that, though he was not himself a Janeite, his recently departed mother, Ms. Jean Freeman, had been a member and passionate contributor of the Jane Austen Society. Therefore this year he was offering this service, free of charge, to the members of the Society to honour her memory. What a lovely way of doing so. All my thanks go to Mr. Freeman for this delicate attention. The programme began with the Annual General Meeting under a vast white marquee, with the obligatory reports of the Chairman, President and Treasurer. Not quite as dour as it sounds. Many items of interest were evoked, in particular the transfer of the large portrait of Edward Austen Knight, brother of Jane and first Austen owner of Chawton House. I had seen the portrait at the far more modest Chawton cottage, home to Jane, her mother, sister Cassandra and friend Martha Lloyd. There it dwarfed the room, occupying an entire wall. Now it will receive a frame commensurate with its size and be moved to the stately mansion. After a lunch break, spent for my part as a picnic in the park and a visit to the charming vegetable garden, it was time to return to the marquee, for the address. This year it was given by a fellow American, Professor Edward Copeland. Its theme was the “Mayfair Legacy” of Jane Austen’s novels. While those enjoyed only a limited success during her lifetime, and earned their author very little money, they spawned, as early as the 1830s, a slew of so-called “silver fork” or “Mayfair” novels. They purported to describe the mores of pre-Victorian high society, and their plots and characters were directly lifted from Jane’s works, but unlike them, they were best-sellers. After a period of wild popularity, though, they were forgotten. Indeed I had never heard myself of that literary school. A delegation of JASNA attended the address. 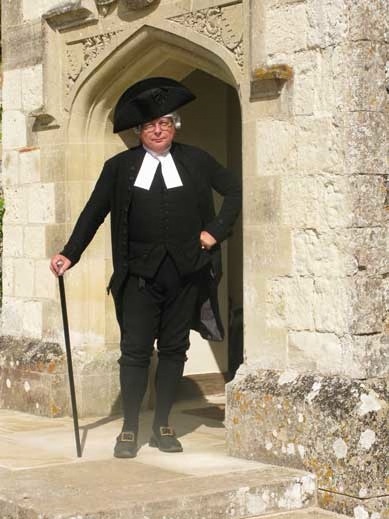 Among its members, I could not help noticing a gentleman in 18th century clerical garb. I approached him afterward, and his attire was indeed perfect! He was dressed as the Reverend George Austen, Jane’s father, would have been as she was growing up. As I had surmised, the gentleman in question, Nick Wells, of Ontario, Canada, belongs to a group of historical reenactors, The King’s Company. He graciously agreed to be photographed at the entrance to Chawton House for the readers of Versailles and more. As I admired the wonderful accuracy of Mr. Wells’s costume, I noticed his spectacles, visible on this photograph. These are actual 18th century frames, in which his optometrist managed to insert modern prescription lenses. I find this sort of detail heart-warming. Bravo, Mr. Wells! He proceeded to tell me that, after the meeting, he was headed for a ball at Winchester. Ankle brace notwithstanding, I felt a very Austenian yearning for a lively dance myself, but it was not to be: I was due back in London that evening. By the way, Mr. Wells was not to impersonate Mr. Collins there, but he had another costume at the ready for the occasion. I will try to secure pictures of the ball to post here. I left Mr. Wells to his many other admirers and was privileged to meet Patrick Stokes, former Chairman of the JAS and descendant of Rear Admiral Charles Austen, another of Jane’s brothers. Here I can be seen scribbling the URL of Versailles and more for the benefit of Mr. Stokes, who, amazingly enough, had been heretofore unaware of its existence. An omission now fortunately repaired. 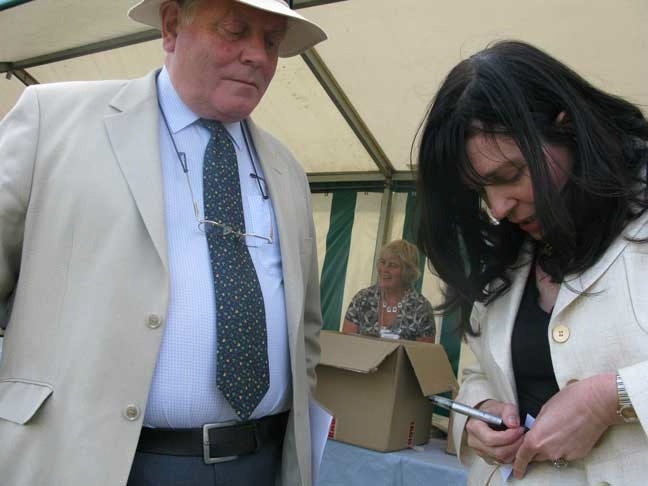 I also chatted with the most famous Austen scholar, Deirdre Le Faye, about Eliza de Feuillide. I need not tell you that Eliza was Jane’s “outlandish” first cousin, and the subject of one of Ms. Le Faye’s many works. I did not omit a few purchases: tombola tickets in the vain hope (I am most unlucky at those things) of winning an Austen-inspired print, and two books: a lovely illustrated 1948 edition of Emma, and Jane Austen’s Town and Country Style, by Susan Watkins. To conclude my day at Chawton, I visited the diminutive Church of St Nicholas, built of local flintstone. 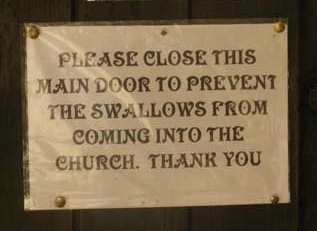 Yes, I was mindful to close the door behind me, to prevent the swallows from entering the building. Indeed a mud-and-twigs nest of these birds, complete with wide open hungry beaks, can be seen under the portal. And of course I paid my respects at the tombs of the two Cassandras: Jane’s mother and her beloved elder sister.